Cleaning the floor comes as a mundane task to carry out in homes and business places. 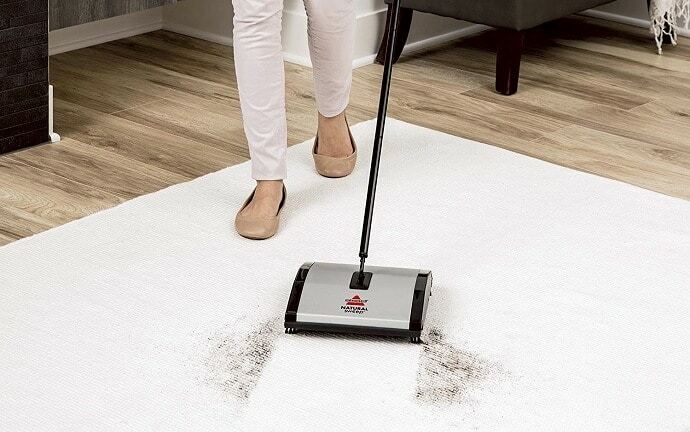 If it feels stressful to use the best vacuum cleaner or you don’t have time to bring it out, then the floor sweeper will come in handy. A floor sweeper stands as a better option to sweep off dirt on the floor. They are easy to use and ideal for sweeping carpets, interlocking rubber tile floors or plastic floorings. When using this cleaning item, you don’t need to push everything out of the way, as it can easily maneuver around furniture to take off dirt. Also, they are less stressful to use and work faster to clean the floor. One exciting part about them is that they are noiseless, making it a preferable option if you feel irritated by machine noise. Having said this, it is certain you want to know more about the floor sweeper and have one too, right? 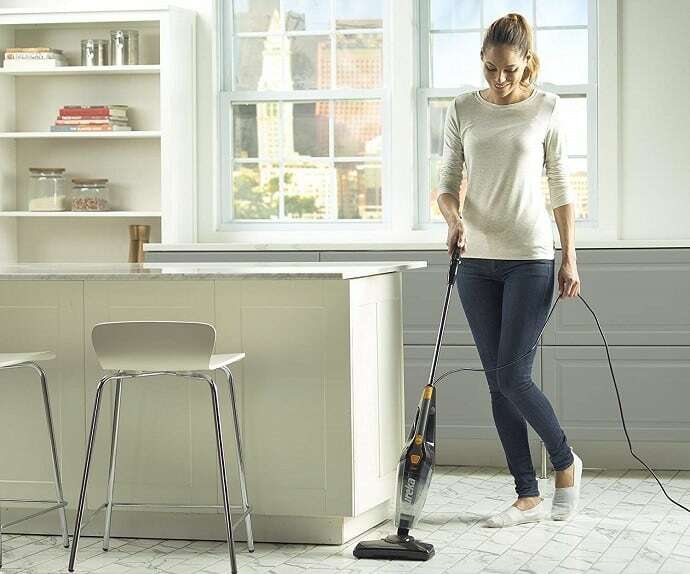 Hence, read on as we bring you great information and the best floor sweeper that will make your sweeping needs a lot easier. However, keep in mind that they aren’t a total replacement for a vacuum cleaner but a decent compliment to clean up dirt. The reason is that there are also portable or handheld vacuum cleaners that work great as floor sweepers. Floor sweepers come with a long handle attached to a box which holds rolls of rotating bristle, brushes and dirt containers. Most of these sweepers don’t require an electric current to operate. They work great in cleaning off dirt from the bare floor including carpet, plastic floorings and interlocking rubber tiles. However, there are also electric and rechargeable floor sweepers that work more efficiently to clean up dirt on the floor. Some have features that allow you to adjust their height, making them safer for kids to use. Also, floor sweepers have a well-designed container that collects the dirt as you clean the floor. To empty dirt from the sweeper, some models have slide tap or small pedals that makes them easier to open the container. That way, the dirt doesn’t touch your hands. These sweepers are very economical compared to most vacuum cleaners. An industrial vacuum cleaner will require a lot more money to obtain the machine. But with little bulks, you can get a floor sweeper that works efficiently to get the cleaning task done. One thing that’s certain about the best floor sweepers is that they are easy to use. You don’t need to be an expert or attend any training to know how to use them. Floor sweeper makes the cleaning task a lot easier. Considering the use of manual sweepers for a large space, this might take a great amount of time to perform the task effectively. But with the use of mechanical or battery-operated floor sweeper, it becomes easier to get the job done faster. The bristles and brushes in sweepers can reach uneven floors to clean up hidden dirt, making them highly efficient. They also work great on most of the floors with their thin and irregular patterns. With the use of sweepers, you don’t need to clear everything out of the way to clean up the dirt from a floor surface. The sweeper can easily reach tight spaces and maneuver across furniture. Also, its quiet operation ensures that you don’t distract anybody in business places or disturb someone’s sleeping. This is the most common type that you can easily find in most households. They are the traditional sweepers like your broom. They are cheaper than other types but stressful to use and time-consuming. They are equipped with blades and brushes attached to a series of gears. When this sweeper is pushed forward or backward, the gears force the blades and brushes to move in a rotary motion and that way it cleans up the dirt into its bin. They operate with human momentum, hence erase the need for batteries or electric current. Also, they are cordless and operate quietly. They have a dustbin attached to them that stores the dirt while sweeping. 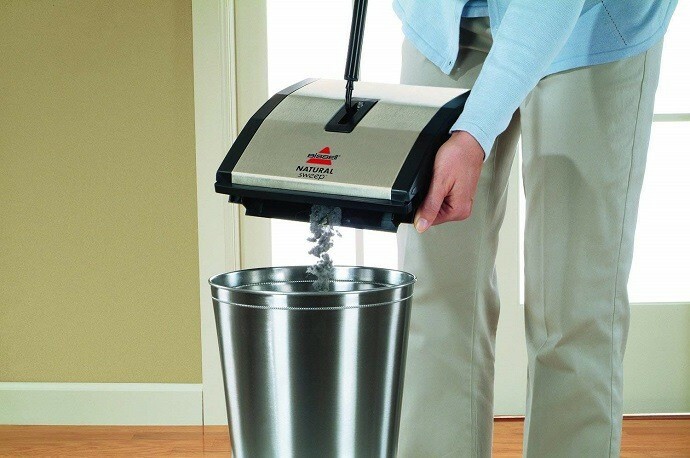 Mechanical sweepers are lightweight and very portable, making it easier to maneuver across tight corner and furniture like under the chairs and tables. These are advanced sweepers flooding the market recently. They operate with the use of electricity like the steaming mops either from a power outlet or rechargeable battery. Some come with a long power cord that requires plugging it to a power outlet to operate. The long power cord makes it stressful to use and limits mobility when cleaning. However, electric sweepers equipped with rechargeable batteries are more comfortable to move around. For these models, it’s best to get additional replacement rechargeable battery handy in case of emergency. Floor sweepers are essential cleaning item to have in every household. Newer and advanced models have flooded the market, making it pretty tricky to get the right one. 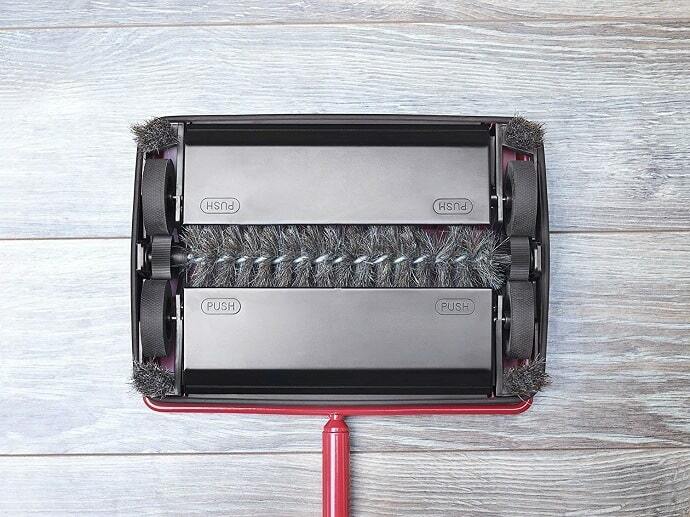 Floor sweepers come with one or multiple rotating rolls of bristles or brushes. Pushing the sweeper forward or backward forces the blades or bristles to rotate and that way it cleans up dust, hair and other tiny debris into its bin. These bristles or blades get tangled or wear out in the long run. However, bristles on some floor sweepers last longer before they wear out. Floor sweepers don’t have many heavy components, therefore they are very lightweight. Also, floor sweepers that weigh below 10 pounds are easier to carry and use in homes and business places. Some come with detachable handles that can be easily removed making it easier for kids to use it. The height is also an important factor to consider. Some models have a flat cleaning head that enables them to get under most furniture like chairs and tables easily. Some also allow you to adjust the height, but they are very few of them you can find in the market. Most sweepers operate on human momentum, hence there’s no need for electricity or rechargeable batteries. However, some make use of electricity to enable the bristles to rotate rapidly. There are also cordless rechargeable models that you can use to clean up dirt in your home with ease. You won’t find floor sweepers difficult to store as there are plenty of easy options to adopt. However, there are floor sweepers that are easier to store than the others. Most of them come in one solid piece while some come in sections that you can quickly put together and disassemble when not needed. Also, some have a lighter weight than others, making it easier to hang it up with other cleaning items. You don’t have to break a bank to buy a cordless sweeper. Most come at a price under $100, unless you want to go for the advanced models with additional features. However, getting one of the best floor sweepers depends on your specific needs. Some of these advanced models work more efficiently compared to the best vacuum cleaner under $100 flooding the market. A floor sweeper comes with a bin that collects the cleanup dust, hair and other debris before they are emptied. Some have large bins to store up more dirt than the others. However, no matter the size, choose a floor sweeper that allows you to empty it without your hands touching the dirt and underneath the sweeper. Also, consider getting a floor sweeper that has the bin that’s easier to clean and can close completely. To avoid scratches or print marks on your furniture or walls, you should choose a floor sweeper equipped with protective rubber bumpers. Always remember to check the manufacturer’s warranty as this gives you more confidence in case of deficiencies. Many makers have produced high-quality cleaning tools that can last longer and get the task done faster. Quality sweepers come at a high price, but you need to also focus more on the specifics like the height, power and the floor surface. For instance, no matter the quality, shorter adults will need a sweeper with adjustable handles. This feature allows them to adjust the height to make the cleaning task a lot easier. Sweepers with removable brushes can be easily cleaned and maintained when compared to quality ones without this feature. Additionally, many sweepers are made for specific floor surface. Getting quality means that plastic flooring might not work great on floors made of interlocking rubber tiles. Hence you need to know on which surface you’re planning to use it. Floor sweeper comes with a long handle attached to a flat box that holds rotating brushes and debris container. This cleaning tool is more comfortable to use and move around your house. They operate quietly and come in different types such as mechanical and electrical sweeper. Also, you don’t need any training to use these cleaning tools. Lightweight, easy to use and maintain. Most sweepers can easily maneuver across furniture or other items to clean up dirt and they operate quietly. You don’t need to have a dustbin close by as it has a collection box that collects the dirt immediately. Mechanical sweepers don’t use power, therefore they save you more on electricity bills. Excluding the electrical sweepers, mechanical types are time-consuming when used to clean bigger space. Floor sweepers don’t work great when used on floors with moisture. Mop, on the other hand, is a cleaning tool that has long handle attached to a piece of cloths, sponge or other absorbent material that helps to attract dust and debris. Mops can be used to soak up liquid, clean the floors and sometimes to clean high places like the ceiling. They come in different types and these include dust mops, wet mop, steam mop, hot mop and microfiber mop. They absorb the dirt and other tiny debris easily. They also get into tight corners very well. Work great when used to mop up spills and clean edges in homes or business places. Steam mops work great as they can also help to kill 99.9% of bacteria. Very stressful to use and maintain. You need to have a container or a bucket close by when cleaning. They also show signs of balding in short period time. Most mops are time-consuming as you have to shake them thoroughly after each cleaning. A portable vacuum cleaner comes in different shapes and sizes. Also, they can perform various tasks. However, some brands perform better than others. 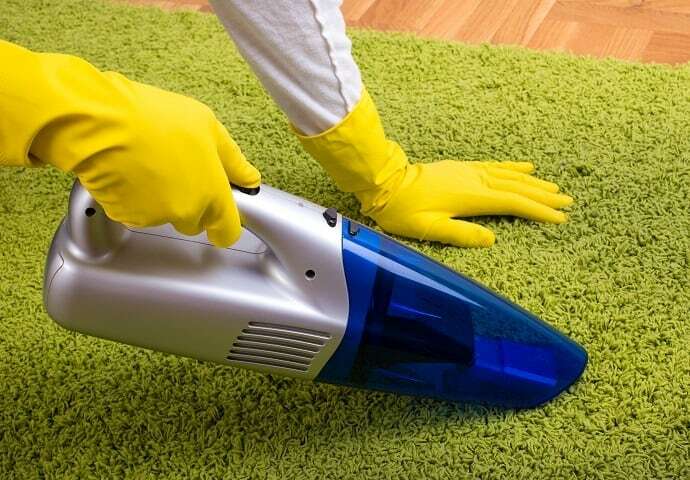 Some of the best vacuum cleaners can also serve as great carpet stain removers in your home. Portable vacuum cleaner allows you to carry it with ease. However, a handheld vacuum cleaner with a self-moving engine weighs more than other models. If portability is what matters to you, find the one that’s lightweight and that you can carry easily. These types of vacuum cleaners serve as the ideal options for clean pickups. For one, they use batteries and can stay on a shelf or countertop during use. You can even use handheld cleaners to quickly clean dirt before you whip out a larger model from the closet. Floor sweeper serves a great cleaning tool, but when used for the wrong purpose it could impede the cleaning performance. Use sweepers for debris: Sweeper works great when used to clean up debris and other dirt like dust, hair or small crumbs. Use sweeper to clean up a large solid substance: The bristle and blade in a floor sweeper are designed to pick up tiny or small substances. Hence, you should avoid larger substance like stone or broken glasses. The reason is that this could easily damage the bristle and blade in a short time. Avoid moisture: Wet floors can impede the performance of your floor sweeper because it’s pretty difficult for a damp bristle to pick up dirt. Also, if the moisture mixes up with the debris inside the bin, emptying the bin becomes difficult. As you ought to know, some floor sweepers come with additional or different features. Take your time to read the operator manual before using it for safety reason and to make the cleaning task a lot easier. You should avoid floor with moisture because this could lower sweeper’s cleaning performance. The bristle and brushes in the floor sweepers easily get sticky once they come in contact with moisture, hence, it becomes pretty hard to collect dirt, dust or other debris. You should always empty the bin after each cleaning. Debris left in the dirt container makes the floor sweeper weightier and that could impede the next cleaning performance. Using a floor sweeper doesn’t end there. Protection and finishing for floors matters, but users also have to learn how to care for and maintain their floor sweeper to keep it in good shape at all times. The two-part stand is the most important part to focus on when cleaning your floor sweeper. An easy way to clean the brush is to upturn the sweeper and then detach it from the panel. After cleaning the brush thoroughly, you can put it back in place. Also, remove any tangled hair on the brush or blade. After prolonged use of at least one or two months, wash and clean the floor sweeper to ensure its efficiency and to make it last longer. After some time, you need to wash, clean and store the device in a clean and dry place. This maintenance policy also makes your floor sweeper last longer. On what surfaces is best to use a sweeper? When it comes to a floor sweeper, you need to take the time to observe the floor surface and the kind of flooring around your home. Most floor sweepers work great on carpet floors, but some are less effective on hard floors. Also, know the type of hard floors, because some sweepers are designed to work great on specific types. Additionally, there are floor sweepers mainly designed for either outdoor or indoors. Sweeper used for indoors should have the freedom to maneuver around furniture, people and pets easily. Considering that hard floors are made of tougher material, it’s best to get larger and very sturdy floor sweeper that can withstand harsh exterior conditions. Large electric sweeper stands as a better option for outdoors as they are highly effective in cleaning up large debris from the floor. Keep in mind that they are noisier compared to other sweepers. Should I use a corded or cordless sweeper? 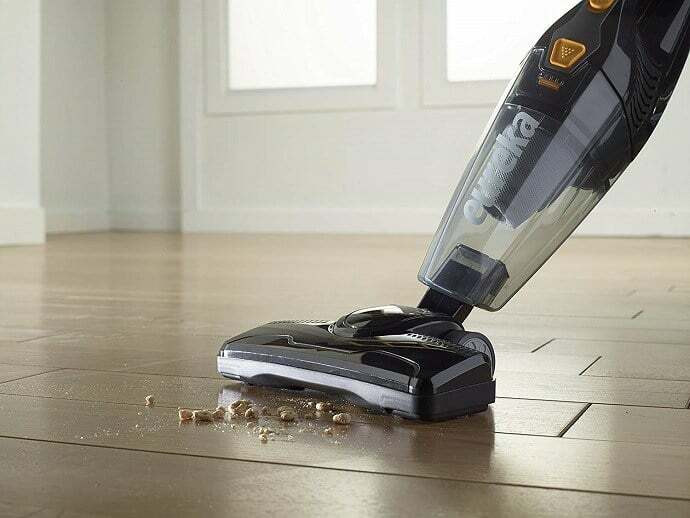 In a time of the vinyl plank vs laminate debate, we suggest cordless sweepers for various reasons. However, the corded models clean for a long period as they don’t require charging. Although this stands as an advantage, the cord might limit movement and make the floor look untidy. Regarding cordless models, they serve as better options because you can use them anywhere. They work with rechargeable batteries, thus they don’t use cords which restrict movement and may cause accidents. However, the major issue with a cordless rechargeable sweeper is that you need to stop cleaning as soon as the battery is weak. Are electric sweepers better than vacuum cleaners? As we explained earlier, you can move electric sweepers easier than vacuum cleaners because of their size. This makes the former more comfortable to use in tight corners. They also produce less noise than vacuum cleaners. Yes, because they are made of durable and high-quality materials that can withstand damages even when they bump against furniture. What is the Perfect Size and Weight of a Sweeper? Most electric brooms weigh around 3 pounds, while any model above 5 pounds is described as heavy. As for the size, this depends on the user’s height. How Can I Maintain My Sweeper? Ensure you keep it clean after use. Also, store it in a dry place free from dust. If your model comes with a wall mount, you can hang it on the wall. 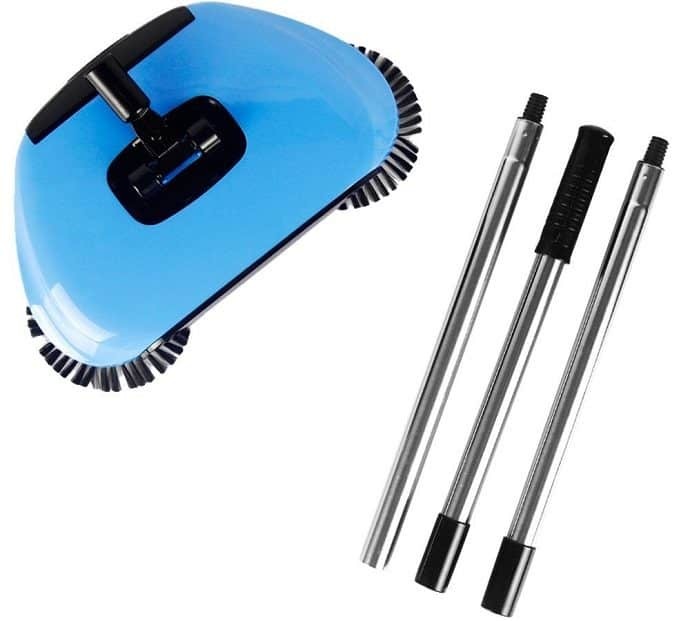 Floor sweepers come as the perfect items for quick cleaning of dirty floors. They are light and don’t need a cord. Because of these features, children and older adults can use these products safely. In the market, we have many floor and carpet sweepers, however, most have a similar design. Before you choose any model, you may need to consider the height, type, bristles, blade and other important thing mentioned earlier in the article. As you know, floor sweepers perform essential tasks in our buildings by removing dirt and dust. Photos from: budabar / depositphotos.com.